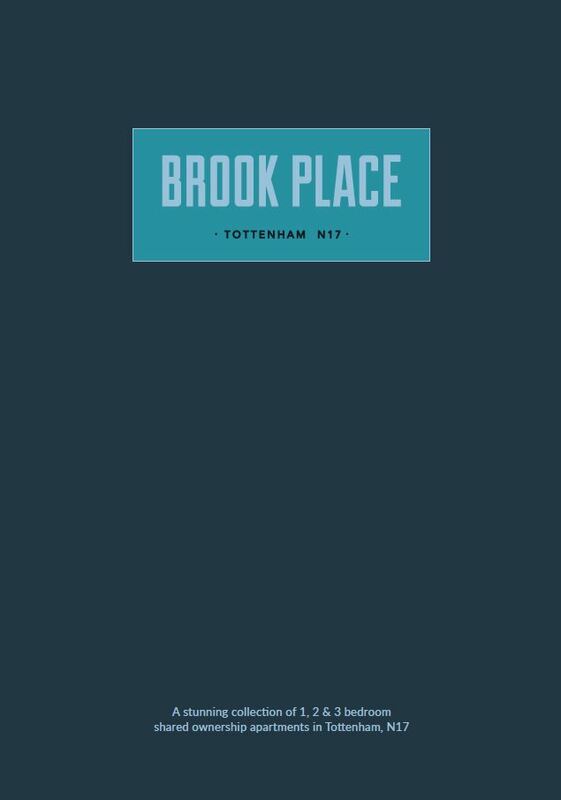 Brook Place offers a choice of stylish apartments just off Tottenham High Road within one of the most exciting regeneration areas in the UK. Bold, eye-catching architecture is matched by spacious, contemporary interiors that make ample use of light to create a warm and welcoming home. 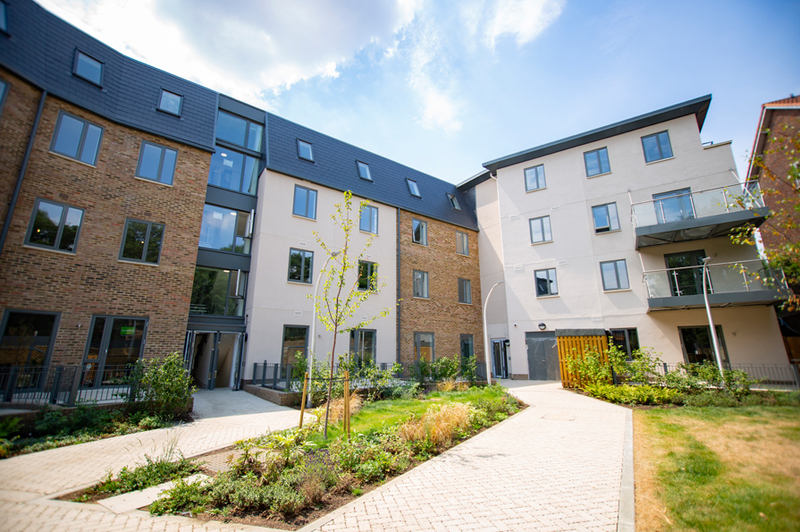 Brook Place comprises of 30 stylish 1, 2, 3 & 4 bedroom private sale apartments as well 12 Shared Ownership apartments. 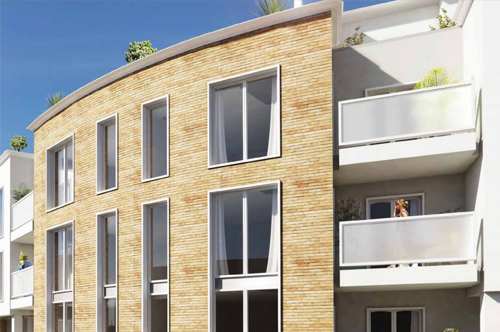 The eye-catching contemporary design of the apartment buildings is matched by an enviable interior specification that makes these properties some of the very best in this popular area. Homes are designed around your lifestyle. Most apartments include an ensuite bathroom with stylish fittings and tiling. Kitchens are streamlined with integrated dishwasher, washer/dryer, electric oven and hob, together with generous workspaces. While all residents benefit from landscaped communal grounds within the development, owners of ground floor properties have the added bonus of a private terrace. You will be living in a much loved, vibrant part of London with all the amenities and entertainment you need close at hand.There’s an Asda and an Iceland just across the Road and an Aldi just a couple of minutes’ walk away. You’ve got a McDonalds, pizza takeaway plus other restaurants and bars nearby. There are local banks, a Post Office, gym and park. You’ll have a nursery school within walking distance, and the North Middlesex Hospital just up the road. Head in the other direction and you’re at White Hart Lane, famous home of Tottenham Hotspur F.C. Bruce Grove itself is a fascinating area, with charming and historic architecture, while Tottenham living offers so much. 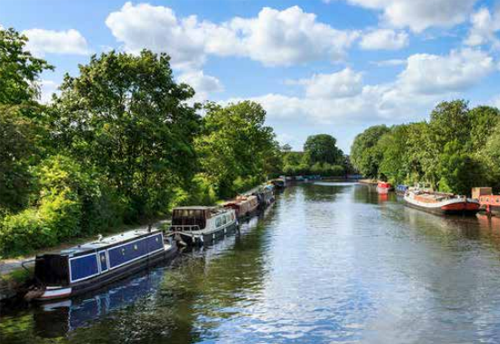 You can spend a Sunday morning playing football on Hackney Marshes and the afternoon strolling by the banks of the River Lea. 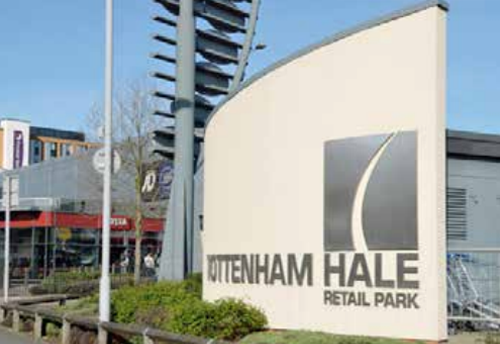 Explore the food stalls at Holcombe Market, enjoy the different cultures that come together in Tottenham Green or shop the big stores of the big Retail Park. A little further afield and you have Finsbury Park with its nightlife, the shops and cinemas of Wood Green and live entertainment at Alexander Palace. Brook Place is a great starting point to get the most out of London living. Whether you fancy an evening’s dining with a view of Tower Bridge or dancing the night away in a Shoreditch club, it’s all there and waiting. There’s music at the O2, Albert Hall and Wembley Arena, some of the world’s greatest theatre along Shaftesbury Avenue, and art at the Tate and Royal Academy. This is a global centre for sport with iconic venues such as Wembley, Lords, Wimbledon and the Stratford stadium. Then of course, there’s the shopping. From Carnaby Street to Westfield, Oxford Street to Portobello, you’ll never run out of new stores and stalls to discover. Your nearest station, Bruce Grove, is 0.3 mile walk away. From there, it’s just over 20 minutes into Liverpool Street station – perfect if you’re working in the City. Or travel across to Tottenham Hale tube station with its Victoria Line connections to the West End. Tottenham High Road is great for buses and gives you an easy road connection for the North Circular, M25 and motorways. Cyclists will appreciate the new initiatives to create local superhighways. This is a handy place for international travel too. The Eurostar terminal at St Pancras and London City Airport are both a simple journey away. Brook Place takes you to all the right places.